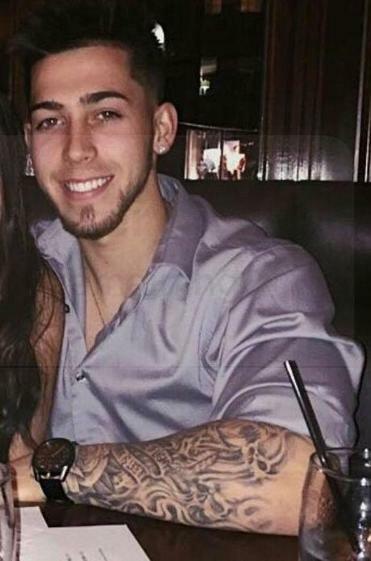 PEABODY — Aaron J. Dibella, 21, of Peabody, who died Saturday night after going overboard during a party cruise, was remembered Sunday by family and friends as a kindhearted, outgoing man who prioritized spending time with his family. “He thought it would be funny to sit up on the side and pretend as if he was going to hang off the side of the boat. When he did that, he slipped and fell over,” said Matthew Almon, 21, who had been close friends with Dibella since middle school, in a phone interview Sunday evening. Dibella fell overboard around 8:30 p.m., more than an hour after the cruise left the dock. He had climbed up the bulwark earlier that night and came down when instructed to by a crew member. But after the crew member left, “the passenger started in on the even more dramatic form of dangerous play,” said a statement from the company. Almon said “probably an hour” elapsed between when Dibella was told to get down and when he climbed on the railing and fell overboard. He and Dibella had been drinking with other friends, he said, although not to excess. After Dibella fell, Almon said he ran through the boat screaming for help, but could not find find any staff for the first crucial minutes. By the time the boat had turned around and located Dibella, Almon said at least 15 minutes had passed. He saw crew members throw three life preservers into the water, but no dinghys or lifeboats, and none of the preservation devices fell close enough for Dibella to reach. Once the boat pulled close to Dibella, a crew member went in the water to try and save him. The boat turned spotlights on Dibella, who started swimming toward the boat. The watching partygoers cheered when the crew member reached Dibella, thinking he had been saved. But in a video posted to Twitter, the cheers quickly became gasps as the crew member turned back alone. “I don’t know how they didn’t get him,” Almon said, his voice breaking on the phone. Dibella’s body was recovered from the water around 1 a.m. by State Police divers near Peddocks Island at a depth of around 45 feet, according to State Police spokesman Dave Procopio. “There are no words — none — to convey our deepest and most sincere sympathies,” he said in the company’s statement. He said his boats have biweekly drills, although the Coast Guard only requires them monthly. “That is why so many life rings went into the water so quickly and the crew were rapidly positioned at the rescue point of the vessel with the other retrieval apparatus,” he said in a statement to the Globe. This is not the first death that has occured on the Provincetown II. 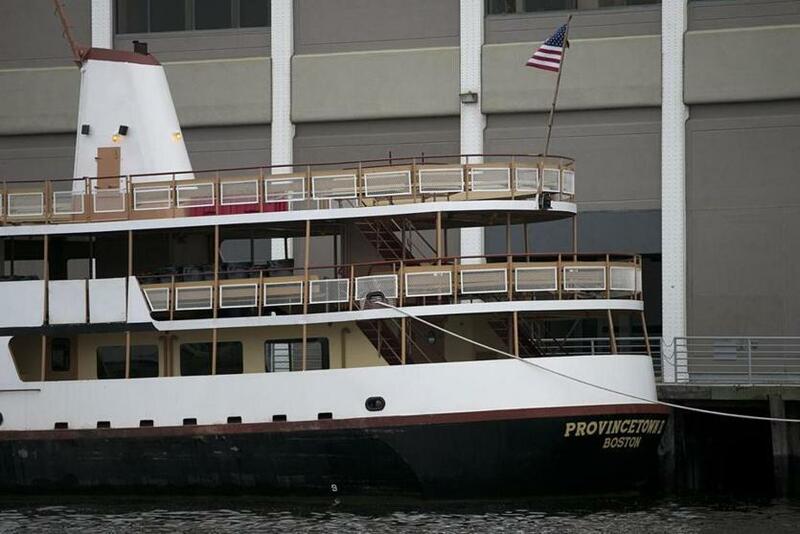 In 2013, a 41-year-old man died after falling from the third deck of the boat, which the Bay State Cruise Company also attributed to horseplay. After this incident, the company raised the ship’s handrails to roughly a foot above the regulatory requirement, Glasfeld said. After Dibella went overboard, chaos and confusion reigned on deck, as partygoers tried to understand what had happened. Others did not initially realize something was wrong. Tensions flared onboard, Fitzgerald said, as people tried to cope with what had happened. The Saturday night cruise was a deviation from Dibella’s usual weekend plans, according to a family friend and neighbor, Lonny Johnson, 50. In Peabody Sunday night, Johnson said Dibella spent most of his leisure time sitting around his backyard firepit at his family’s blue colonial-style home. “I’d see him sitting out there thinking he was a good-looking guy who could be out doing other things at his age, but he was happiest with his family,” said Johnson. Amelia Nierenberg can be reached at amelia.nierenbeg@globe.com. Follow her on Twitter @AJNierenberg. Jerome Campbell can be reached at jerome.campbell@globe.com. Follow him on Twitter @jeromecampbell.